Divided food pan helps you to use one chafing dish for two menu items. Ideal for serving two dishes that go together such as meat and gravy. 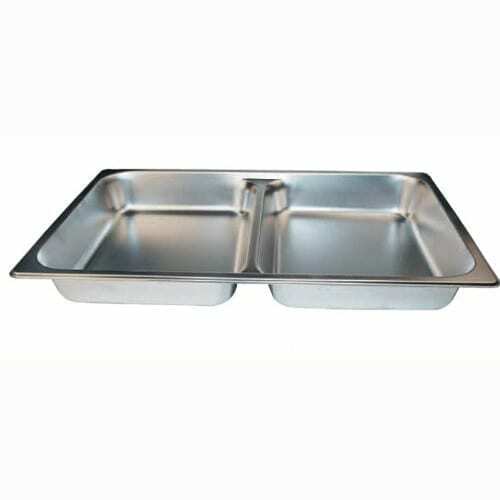 This insert is made of stainless steel and is used as a replacement pan for the 8 quart chafing dish. The 2.5 inch deep pan keeps two foods warm in one chafer. Works nicely for smaller parties or foods where you would like to serve less.